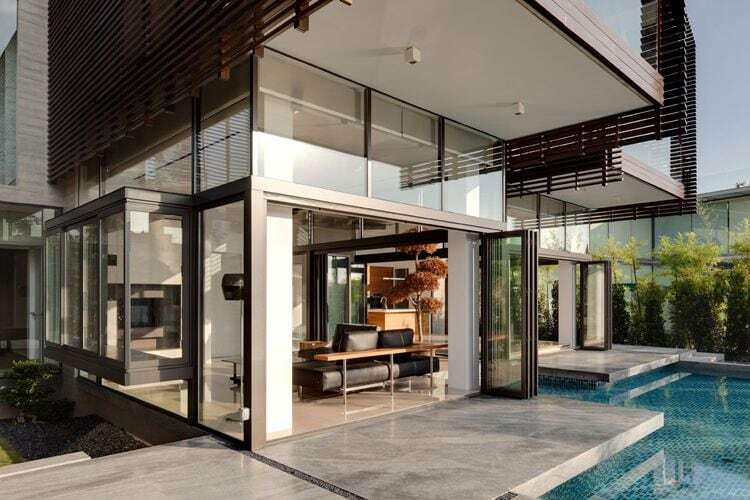 The buzz in the luxury residential market in Singapore has continued to show, with recent deals contributing to a brightened outlook for the high-end property segment. The deals include a freehold site of 31,211 square feet (sq ft) situated at Leedon Park, the sale of a penthouse at The Nassim and a sea-view bungalow located along Sentosa Grove being listed for sale at $16.6 million (or $1,707 per square foot). The freehold site in the good class bungalow precinct of Leedon Park was understood to have been acquired by the executive director of Raffles Medical Group, Mr Loo Choon Yong – at a price of $40.88 million or $1,310 psf for the piece of land. On the southern end of Singapore in Sentosa Cove, the sea-view bungalow is believed to be owned by a Chinese mining tycoon. Based on the selling price, he will be expected to incur a substantial loss of close to $8 million on this property which he purchased back in 2012 for an estimated amount of $24 million. Property analysts have noted that based on the average number of transactions done in Sentosa Cove this year, the prices have been at around 30 – 40% off the peak levels of 2010. In the non-landed luxury residential market, the sentiment was further boosted by the purchase of a 5-bedroom 9,300 sq ft penthouse unit at The Nassim for a whopping $25.8 million (or $2,750 psf) – by who is believed to be the Mukhtar family, who also owns Pakistan’s Allied Bank. The freehold project (The Nassim) is currently owned by Nassim Hill Realty, which CapitaLand sold its entire equity of this holding company to Kheng Leong earlier this year. To date, 19 units (with transaction value more than $10 million) in the non-landed luxury property segment have been transacted, with a total amount of $262.2 million. When compared to last year (2016), the numbers are on par – with 36 deals done for the entire year and chalked up to a total amount of $487.7 million. It was noted by market watchers that the 15% additional buyer’s stamp duty (or ABSD) being levied on foreigners who are acquiring any private residential property here in Singapore since January 2013 has significantly weakened their investment interest in buying landed homes located in Sentosa Cove. It is still the one and only location in the sovereign state where foreigners are eligible to purchase landed properties, subjecting to approval. Analysts have noted that foreigners who envision themselves living in Singapore on a long-term basis – be it for family or business reasons – will still be looking to buy homes here. For such reasons, it’s more likely to see these buyers try to obtain a Singapore permanent resident (PR) status, and in some cases even becoming a Singapore citizen as it will be a less costly and more effective way to own a property here.